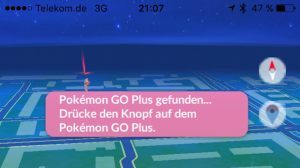 Your Pokémon GO Plus doesn’t work anymore or lost connection? Had to figure this out by myself: After connection (found in instructions) you’ll find the Pokémon GO Plus Symbol in the map screen. Now: If it’s red, your Pokémon GO Plus is connected and works. If it is like greyed out, you lost connection. What to do? 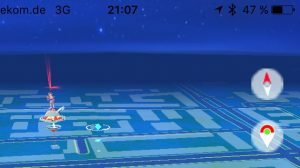 Tap on the Pokémon GO Plus Symbol in the map screen. You’ll receive instruction to push button on the Pokémon GO Plus. Voilà, it’s working again.